You’re an important person with an average-person-sized thirst. 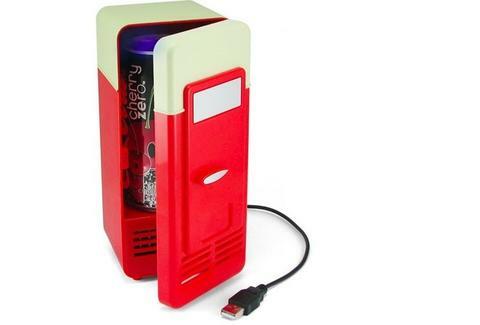 Keep drinks cool without leaving your desk via this USB-powered, one-can fridge. It fits only Bloomberg-approved beverages (16-ounce cans) and is better at chilling something that’s already cold, but if you’re the type to nurse a Red Bull, this’ll keep it cool till the last drop.